No, this jumper is not even a little bit flattering. It makes me look about twice my actual size. But if you happen to run into me on a lazy Sunday afternoon, there's a very strong chance that this jumper will be what I'm wearing. 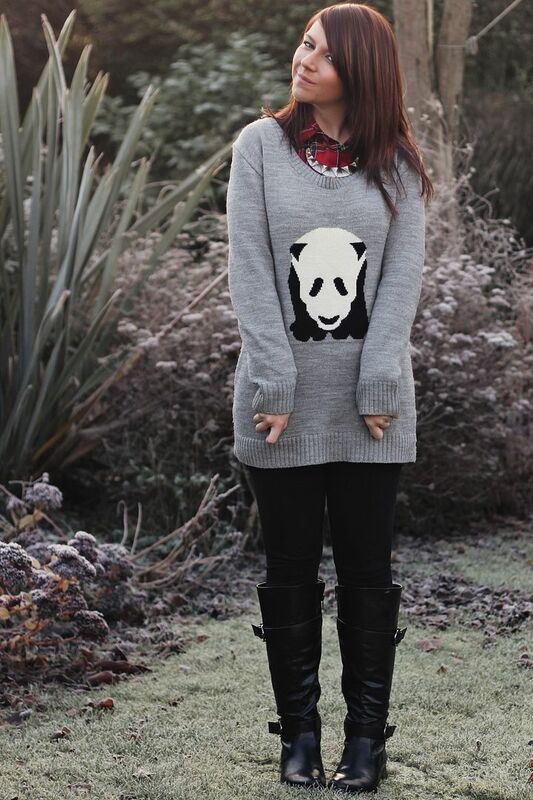 It's big, it's cosy and it's got a panda on it. Who cares if it makes me look the size of a house. Surely you know by now that I'm not the kind of blogger who puts an outfit on, snaps some photos and then takes it off again. If you see photos of something I wore on my blog, I wore it. And if I really liked the outfit, I probably wore it a few days in a row (no shame). And the reality is, I love this jumper, chunky illusion and all. jumper- ebay tartan shirt-Motel via ebay boots- Debenhams aviator jacket- River Island necklace-Forever 21 It's good to have some honesty in the blogging world. Oh don't be silly haha. Sometimes I wear Danny's sweaters with leggings out and about. He just has the comfiest warmest sweaters! This one looks fine on you -- it just looks like a nice sweater dress to me. ;) You look cute Charlotte. Love you coat.So cool.Getting FREE Christmas Gifts Here,http://www.japan-lingzhi-2daydiet.com/Christmas.html. 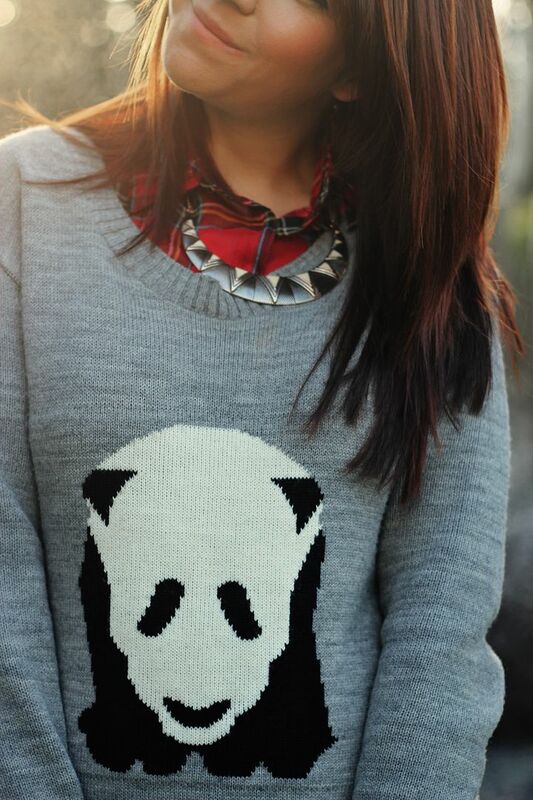 This sweater is too cute! And I think you're being a little hard on yourself, you look FINE!